A new Army assault rifle will tear through any body armor with the pressure of a battle tank, strike from unprecedented ranges, and withstand the rigors of weather, terrain, and soldier use, Army Chief..
▶ Videos for "Gen Mark Milley"
President Donald Trump will tap Gen. Mark Milley as his next top military adviser, choosing a Winchester native and battle-hardened commander who has served as chief of the Army for the last three.. Despite President Donald Trump's claim to the contrary, Army Gen. Mark Milley says he has found “zero” problems with transgender Army recruits. But according to Politico, that was all before Trump..
Claremont McKenna professor Jack Pitney discusses a tumultuous week in Washington. President Trump announced Saturday he's nominating Gen. Mark Milley as the next chairman of the Joint Chiefs of Staff. Axios reported on another high-level personnel change on Friday. 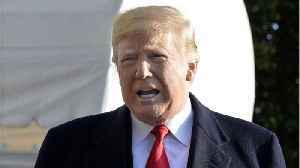 On Friday President Donald Trump hinted that he would make an announcement about the next chairman of the Joint Chiefs of Staff. 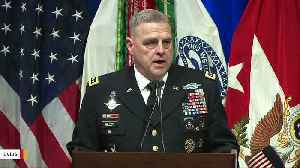 The chairman is the president's top military adviser who oversees US..
'We are the only military in the world ... that does not take an oath to a king, a queen, a dictator, a president,' Army Gen. Mark Milley, tapped to be the new chairman of the Joint Chiefs, said..
President *Donald Trump* this morning announced he is nominating General *Mark Milley* to be the next Chairman of the Joint Chiefs of Staff. 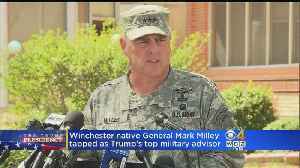 President Trump is expected to name Gen. Mark Milley, the Army chief of staff, as the next chairman of the Joint Chiefs of Staff, the nation’s highest-ranking uniformed officer, officials said. President Trump is set to tap Army Chief of Staff Gen. Mark Milley to lead the Joint Chiefs of Staff, Fox News has learned. Gen. Mark Milley of the Army is expected to be President Trump’s choice for the top military job. 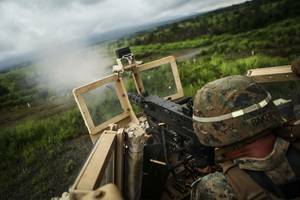 WASHINGTON (AP) — Army officials say it will take time to overcome the recruiting challenges that caused them to miss their enlistment goal this year. But they say changes that include adding.. 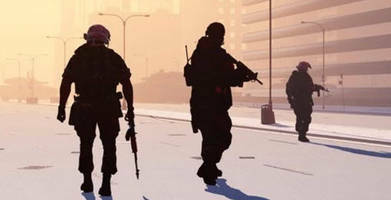 The first Army command to ever be headquartered within an urban center will be different from the military branch's other commands in two additional and significant ways. For one, military uniforms..
WASHINGTON (AP) — Army leaders say the creation of a new Texas-based Army command focused on the future will help the service adapt to the emerging threats from powers such as China and Russia, after.. Authored by Jonah Bennett via The Daily Caller, *The Army has decided to abandon plans to issue waivers to recruits with a history of self-mutilation or other mental health problems. 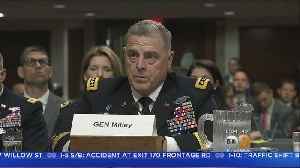 * Army Chief..
Army Chief of Staff Gen. Mark Milley on Wednesday said America needs to send more troops to Europe in order for the U.S. military to do its job in deterring "further Russian territorial aggression,"..
WASHINGTON (AP) — The Army’s top general says his service failed in a “significant” number of cases to report soldiers’ criminal history to the FBI. 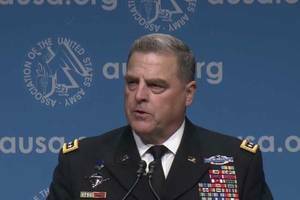 Gen. Mark Milley told reporters that the..
· *The Army is exploring a number of improvements and additions to its arsenal. 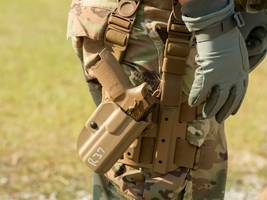 * · *A main goal is enhancing the accuracy and lethality of weapons US soldiers carry. * · *The Army is also looking..
A month after officially announcing the competition for a new, more powerful rifle, the US Army is scrapping plans to adopt the 7.62 mm Interim Combat Service Rifle. The Army was looking for a.. 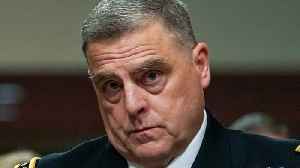 While holding a glass of wine, Army Chief of Staff Gen. Mark Milley confessed that he had no idea about the policy that President Donald Trump instituted about transgender soldiers in the military. In..
MOSUL, Iraq, March 28 (Reuters) - Investigators are in the Iraqi city of Mosul to determine whether a U.S.-led coalition strike or Islamic State-rigged explosives caused a blast that destroyed..
Army Preps For Urban Warfare In MegaCities: "Mass Migration, Disaster, And Inner-City Turmoil"
Submitted by Mac Slavo via SHTFPlan.com, There will be war in the streets of America. *Things have been engineered that way. * The scenarios are many, the issues are complex. 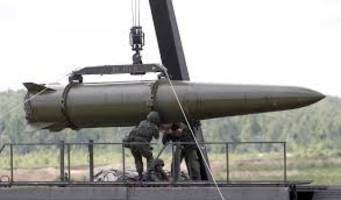 The current anger..
Having unveiled the first images of its new nuclear missile capable of reaching US soil, Russian President Vladimir Putin is warning today that *Washington's actions are "pushing Russian into a nuclear.. 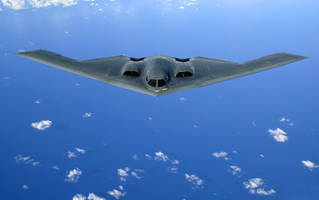 Submitted by Joseph Jankowski of Planet Free Will The U.S. Air Force dropped two dummy nukes in the Nevada desert earlier this month in what it called an effort to modernize and assess the..
Amid escalating tensions between Putin and Obama, Military.com's Matthew Cox reports, the* U.S. Army's chief of staff on Tuesday issued a stern warning to potential threats *such as Russia and vowed..
Army Chief of Staff Gen. Mark Milley delivered a stunning warning to America's potential enemies - including Russia, China and North Korea - declaring we will beat you harder than you have ever been.. 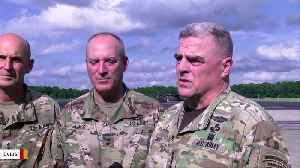 The Army’s top general wants cadets to prepare to fight “little green men.” Army Chief of Staff Gen. Mark Milley made the remark April 21 in a speech to celebrate the 100th anniversary of Norwich..